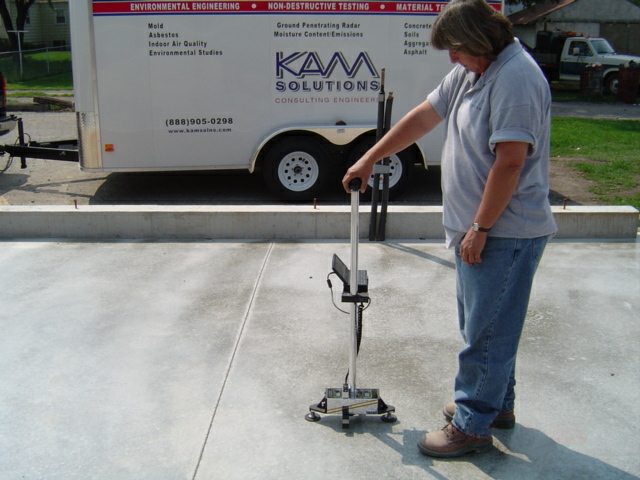 KAM Solutions of Central Illinois provides the ultimate concrete testing, asphalt testing and mortar testing service from the smallest to the largest projects - throughout Illinois. Our specialty is the ability to anticipate changing weather, material temperature and environmental conditions throughout the day of an extended concrete pour or masonry project. We frequently cell phone the batch plant to specify the mix of each delivery, maintaining materials specifications in changing conditions. Our experienced engineers and technicians can amend the mix and admixtures, on-site, of a delivery to pass specification, which otherwise would have been a rejected load. This can save our customers thousands of dollars in labor productivity. 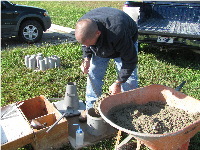 Because we are experienced at testing aggregate and soil compaction and load-bearing characteristics, we are often asked to ensure that the underlying soil or aggregate will enable the concrete structure to perform as designed. 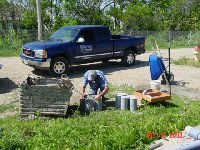 We are especially experienced with soil and climate conditions unique to Central Illinois. See our Soil Testing page for further details. We often provide these comprehensive soil, aggregate and concrete quality assurance needs to contractors, and to architectural and engineering firms, to provide these organizations with project quality data during construction. All of our technicians are experienced and certified, and conduct ASTM, AASHTO, ACI and IDOT conformant testing. The technicians are also experienced at floor flatness testing, cylinder break testing and core drilling, and frequently provide asphalt compaction testing services.